Every one of us is pursuing success, however we define it. The pursuit of success is like travelling on the road, where you see different vehicles and traffic conditions. Some people are moving fast, others are travelling slowly. Some are on the expressway, while others are stuck in jams. Some people are in a hurry, the rest are taking their time. How quickly you get from where you are to where you want to be depends greatly on the type of vehicle you are using. Let’s look at the 5 types of vehicles that we take in our pursuit of success. The bicycle has the least mileage. With every unit of energy you use to pedal, only a short distance gets covered. On top of that, you have to keep pedaling to keep going. Using the bicycle, you would be at the mercy of bad weather. You are also more likely to get injured in the event of an accident. Uneven roads could also cause you to lose balance and topple over. Someone riding a bicycle in his career is progressing slowly without valuable skills, knowledge and network that he can leverage to reap good financial or progression returns. The motorcycle is faster, more stable and easier to ride than the bicycle. However it still leaves the rider at the mercy of bad weather and traffic accidents. There is no comfort or security. A motorcyclist on the traffic of success is starting to make some small headways in his career. However, he hasn't achieved any form of stability or security in his job, which is easily affected by changing economic conditions. He remains in the survival mode. Finally, there is shelter. In the comfort of a taxi, you are shielded from the sun and the rain. 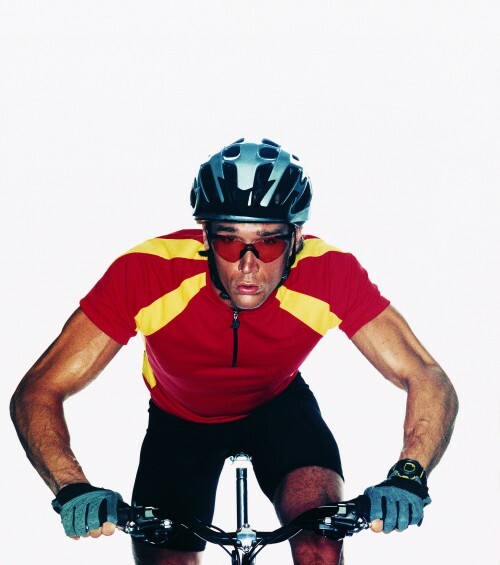 In the event of an accident, you are better protected than a cyclist or motorcycle. That means you probably have expertise and experience that shield you from minor to moderate shakeups in the market or economy. However, you are still not in-charged. As a “taxi-driver”, you cannot designate your destination. Your passenger (i.e. boss, supervisor, customer) directs and you drive. Sometimes, you could drive around waiting to be called. There is a lack of focus and long term direction. Instead of a taxi, some of us are “bus captains”. Everyday, you have a fixed schedule, you take the same route, and you pick up almost the same passengers. You can only stop at bus stops, and drive at a limited speed. The bus on the traffic of success progresses slowly and safely. You do the same things at work everyday, you follow fixed processes, and you are at the beck and call of others to perform your duties. You are definitely not in control. You feel heavy and loaded, yet you can’t be flexible and agile to change course to reach your destination earlier. Here’s the only vehicle on the road that’s in control of. When you drive your own car, you can decide where you want to go, when you want to go, which route to take, how fast you want to go, and whom you want to take with you. You can fully focus on your destination, for you are the one who makes the decision and you can be flexible at any point along the journey. You could stop for a drink, swing by to pick up someone, or just enjoy the ride and your own space. You can even choose to go on the expressway! This is the only vehicle on the traffic of success that can take the highway to your destination. You can get there sooner and with lesser fuel consumption, which means more leverage. How to accelerate to your desired destination? You might not be in the best vehicle now, but you can start by adopting the best vehicle mindset. Choose to be a car, where you are in control and could accelerate to your success. Article contributed by Jensen Siaw, a Performance Breakthrough Coach and Communication Expert.